Categories: Property Management // Tags: building inspection, commercial construction, commercial real estate, scott hamele. 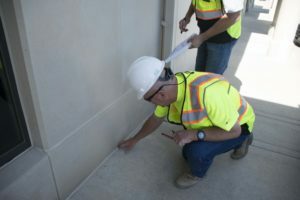 KANSAS CITY, MO- It often seems like an impossible task for an owner to determine if a commercial construction or tenant finish project is even feasible and makes financial sense. Someone with experience that has a thorough understanding of the economics of commercial real estate, design, costs and construction should be obtained to confirm the worthiness. This could be an architect, design-build general contractor, engineer or an experienced developer. In most cases, a general contractor is given only a few nuggets of information in which to develop a cost estimate. Only someone with the talents of conceptualizing the needs of the owner can accomplish the task of an accurate construction estimate. Below is a list of the traits of a successful conceptual estimator. Good Listener: the ability to pay attention to the owner’s needs, goals and aspirations of the project is imperative for the first step of the process. Creative: one’s aptitude to generate something out of nothing. The conceptual construction estimator has the ability to assist and/or provide a preliminary floor plan also known as space plan to meet the goals of the owner. Practical: the ability to anticipate the possible design and construction difficulties which can add costs and time to a project and incorporate these additions into the overall cost estimate. Guestimator: yes, I’m afraid so. A successful conceptual estimator has to be able to combine some educated guessing based on experience with up to date cost analysis. Not everything is black and white in the first stages of estimating a project and as such, deduction reasoning has to be applied. Detailed: the more a design and construction cost analysis can be broken down into individual detailed components, the more accurate the estimate will be. A global look is fine at first, but in order to offer an owner numbers that they can rely on, the more detailed an estimator needs to be. A commercial tenant finish construction project will be more successful from the start utilizing a construction estimator with the above traits and knowledge of the art of conceptualizing the design and costs. Whether it is a commercial renovation or new ground-up construction, success can be defined as a project that is designed and built within the budget and schedule. It will offer an owner an investment that will make money and offer a tenant space constructed with the best use of the space and best value of the materials.